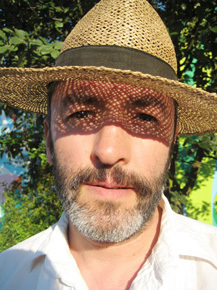 London-based artist Shane Waltener is a man of many interests who works in a variety of fields including basketry, sculpture, textiles, sugarcraft and guerrilla gardening. But what unites these diverse threads, is a passionate interest in making: ‘Making is really essential to what I do and a lot of my work is about celebrating the process of making’, he says. Can you explain how your career and interests have developed to incorporate so many different areas? I originally studied sculpture Camberwell College of Art and making has always been an interest to me. When I was studying sculpture I was particularly interested in late Modernist sculpture but was also interested in notions of domesticity and craft and how to link these two areas. I then went to Brussels and learnt about sewing and textile processes in the newly opened fashion department at the La Cambre Institute. 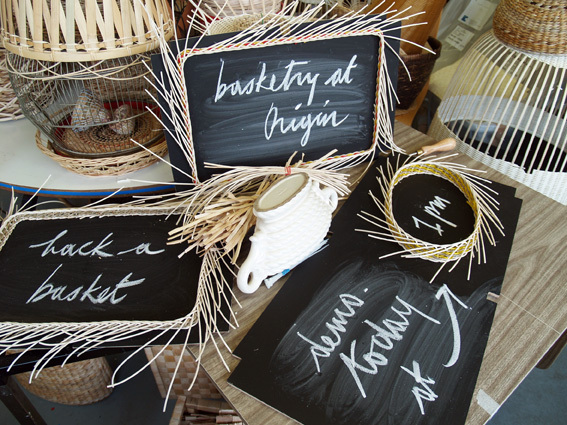 You recently started experimenting in basketry and made a basket work installation at Origin. What attracted you to this medium and how does it tie in with your other interests? It’s as though my career has done a large circle as basketry has helped me rediscover my interest in sculpture and my passion for working in 3D and creating volume. It also links in with my textile work through processes like knotting and weaving. Do you have any formal training in basketry? No. I’m interested in coming at it from a new angle. I like the idea of approaching a field before you’ve been taught the technique so that you can discover it yourself. It allows you to ‘re-invent’ basketry and it gives you scope to find and devise your own processes. You’re writing a book called Hybrid Basketry, what do you actually mean by this term? 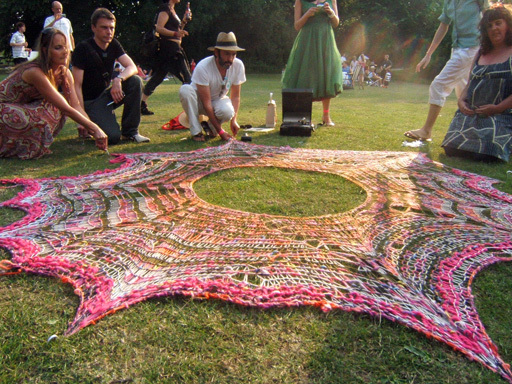 I mean melding one technique with another, like using crochet techniques and textile materials instead of willow. I also use it to describe a DIY approach to basketry, inventing the technique as you go along and transforming objects you already own – for example a basket – into new ones, like a lampshade. 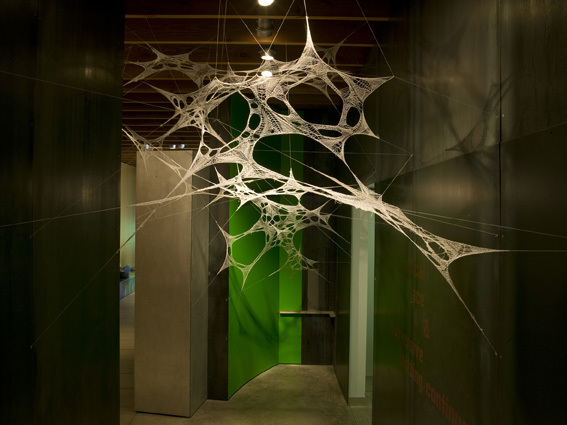 It’s a form of ‘hacking’ if you like, only using woven networks rather than electronics. Basketry is often seen in a rural setting and I’m interested in taking it out of the woods and thinking about it in an urban situation. How important is participatory work in your practice? Participatory projects are a means of research for me. They help me explore how to do things and develop a narrative of how to do them. We are all specialists in our own way and all bring our own rationale into the making situation and the exchange of that information is what interests me. For example, when I worked on an embroidery project with a group of Bengali women and a group of South East Asian women who didn’t understand each other, they were able to communicate through making. A vocabulary of making became their common language – they wrote beautifully with needle and thread and that process was really interesting for me. In Europe there is a great emphasis on the object as a vehicle for meaning, but in other cultures the emphasis is different – for example Shinto temples in Japan are re-built every ten years keeping the knowledge of the process alive. In the same way, the process is as important as the object in my work. Are you interested in recording the participatory process? It’s a challenge to find ways of documenting the process through the actual work rather than just photographing it. I want to capture how people make collaboratively. I’ve started trying to do this through performance and dance. 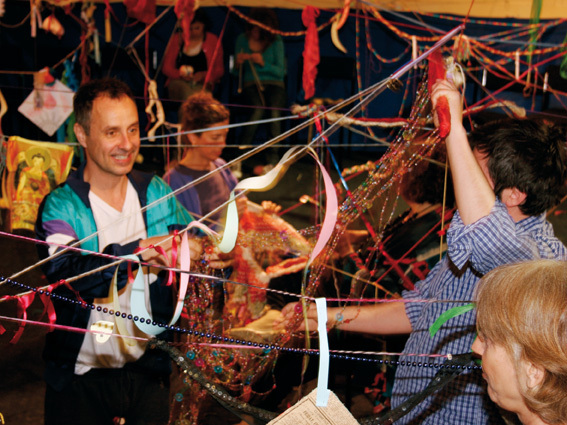 Choreographic sequences offer a reflection on weaving and stitching processes, and kick-starts making an installation by inspiring people to do their own thing in a free-form fashion over a longer periods. I’m interested in relating how that happens and in the silent negotiation between one maker and another which you can capture with dance. Why did you start working with sugar? A lot of textile processes like crochet and lace-making are quite time consuming and I really took to sugarcraft because there’s an instant quality as it’s so much faster. I started working with it during a residency at the Pump House Gallery when I had the idea of getting visitors to decorate cakes and in the process map out a social history of the craft. We ended up decorating 150 cakes and that’s when I realised how versatile the material is. It’s quite sculptural and you can use it do lots of things – like cementing, binding, or even creating a lattice effect that comes close to lace making. How do you use sugar in your participatory projects? I was asked to do something at Tate Britain responding to the lace in the Tudor portraits and suggested that instead of working with textiles we made piped patterns using sugar. I later revisited that idea when I did a project about the slave trade. The children and I discussed the history of the slave trade and then we graffitied the wall of the gallery with slogans relating to the exhibition using piped sugar. It was quite polemical – we touched on the history of Tate and Lyle – but there’s something very inoffensive about sugar graffiti, so it was quite playful or teasing at the same time. How does your interest in gardening feed into your work? I am a frustrated gardener, but I do grow vegetables on small plots and then harvest them to make jams etc. I call these jams ‘urban survival kits’ as they are means of surviving in the city, although some of them are less benign than others as I’ve made pickled beetroot flavoured ones with belladonna which you can feed to your enemies. It’s all part of my interest in bringing the rural into the city.